As this year’s Bundesliga hits its home stretch, the title is close to be taken by the hands of Bayern Munich, holding a commanding lead with only a few fixtures left, for a club-record six season in a row. In the US’ NCAA college basketball system, the regular season fixtures serve only for seeding purposes for a 68-team tournament where only the one team who wins will serve as the National Champion. So in a way the season resets, and previous results mean little because anything can happen. 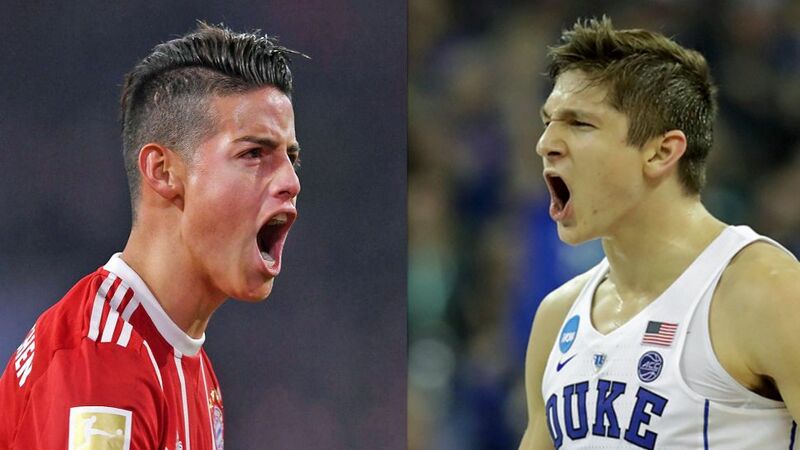 Watch: Bayern's football stars faced their basketball team in a two-sport challenge! For example, the most dominant team in this year’s NCAA regular season, and closest Bayern Munich, was the University of Virginia, who went 31-3, winning the NCAA’s most dominant conference, the ACC, and were seeded as the number one overall seed in the tournament. However, in the first round of the tournament, UVA played the upstarts from the University of Maryland, Baltimore County, a 16 seed who needed a buzzer beating 3-pointer from a player, Jairus Lyles, who was at his 3rd college in 4 years of NCAA eligibility as a player, to beat a team in Vermont who were unbeaten in 23 games. The previously dominant Cavaliers were thoroughly slaughtered by the Retrievers of UMBC, ultimately losing by over twenty points. In addition to the brutal defeat, it was the first time that a number one seed in the tournament has ever lost to a sixteen seed since the tournament expanded to over 64 teams years ago. While such a similar result in the Bundesliga, where Bayern Munich would lose to a struggling side, is not impossible, but hard to imagine in their current form, the beauty of a single game elimination tournament is that these results are possible and mayhem can ensue. As a result, the moniker of the tournament, March Madness, is quite fitting. In terms of historical dominance and top tier talent, there is really no question about who is the team to beat in the NCAAs or the Bundesliga this season. In addition to having an older, legendary coach at the helm, both squads boast individual players who have the ability to win a match with an incredible solo effort. Very few other teams in the tournament can boast that ability. While BVB won’t be winning the Bundesliga this year, they were seen as a potential title challenger this season before a midseason slump put them off the pace and saw Peter Bosz fired. However, in terms of team makeup the parallels are strong. Villanova boast a strong attacking style, with a few top class talents in Mikal Bridges and Jalen Brunson who can break open a match on their own, much like a few of Dortmund’s top talents can. Both programs are relatively unheralded and enjoying success that has not been typical in their history. They both come from quite small towns and out of the shadow of bigger neighbors recently. While Tech coach Chris Beard is not the young man that Julian Nagelsmann is, he is a relatively young man at this high level of coaching, and he is making up for lost time by leading Tech to such unprecedented success with an unheralded cast of players.